At US, metastases may appear hypoechoic, isoechoic or hyperechoic in echogenicity. On a dynamic contrast-enhanced CT study, most metastases appear hypovascular and hypodense relative to liver parenchyma on portal venous phase. Hypervascular metastases, most commonly seen in renal cell, pancreatic islet cell tumors, sarcomas and breast tumor patients, may become isodense and may be difficult to detect during the redistribution phase of enhancement. These hypervascular metastases are more easily identified during the hepatic arterial phase of enhancement. 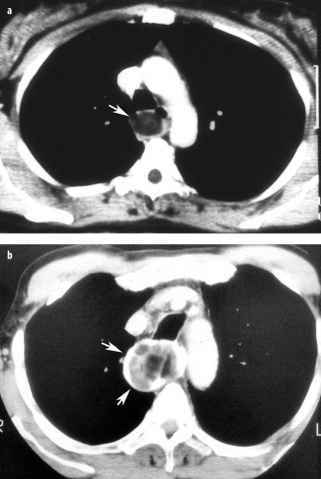 At MRI, metastases are usually hypointense on Tl-weighted images and hyperintense on T2-weighted images . Peritumoral edema makes lesions appear larger on T2-weighted images and is very suggestive of a malignant mass . High signal intensity (SI) on Tl-weighted sequences has also been described and is presumably related to the internal content of a paramagnetic substance (Table 1). 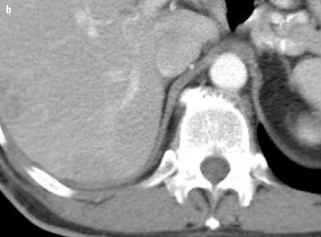 Some lesions may have a central area of hyperintensity ('target sign') on T2-weighted images, which corresponds to central necrosis. Metastases from colorectal carcinoma may reveal low signal intensity central areas relative to the higher intensity tumor edge on T2-weighted images ('halo sign'). On dynamic contrast-enhanced MRI, metastases demonstrate enhancement characteristics similar to those described for CT. Metastases may demonstrate a hypointense rim compared with the center of the lesion on delayed images ('peripheral wash-out' sign). Most recent studies have shown MRI to be more sensitive than contrast-enhanced CT (Fig. 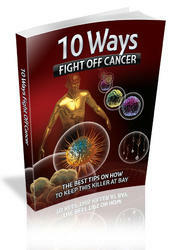 6) for the detection of hepatic metastases .